We have been very eager to see what kind of sales Windows Phone would have once the platform took the leap to version 8 and brought HD screens and multi-core processors to the hardware mix, and early on things are looking pretty good. According to Microsoft CEO Steve Ballmer, Windows Phone sales have quadrupled compared to this time last year. Of course, as is typical with declarations like this, there is no real context for the claim. For example, it is unclear if Ballmer is referring to worldwide sales, just US domestic sales, or what. We also don't know exactly how impressive the number really is, because Windows Phone wasn't selling very well at this time last year. Remember, Windows Phone only started to make a move with the release of the Nokia Lumia 900, which wasn't until earlier this year. Still, this does mark an impressive improvement for the Windows Phone platform, and we'll be watching to see if the momentum keeps up. Ballmer use to talk a lot lately. We need numbers! True that. Without numbers this is just spin, IMO. "Without numbers this is just spin, IMO." Quite true. If a year ago, MS moved only 500,000 WP licenses and this year they moved 2 million, then they quadrupled the WP licenses. But 2 million in the mobile space is chump change. Details, please. Last month they sold 1. This month they sold 4. Quadrupled. I don't think we need the numbers. People are not enthusiastic about WP8. They certainly are excited about 920 but not b-c of WP8 but b-c of Nokia's master class design and great inovations. I'm certain that absolute majority of WP8 phones sold are Nokia's and 1 OEM is not enough for MS.
WP went from one user to four. Haha! Failed troll. If according to you WP had one user (which is false) and it quadrupled the there would be five users not four. Some of you are either in denial or just super ignorant. Platforms don't explode overnight. For those that really know android was introduced in 2007 along with the open handset alliance founding which was a consortium of many companies to promote the enhancement of open standards for mobile devices. We all know that the original Droid was released in 2009 which was late 2009 at that. In reality it was 2010 that truly fostered the growth of android going forward. So what does this mean? It means it took almost 3 years for the beloved android platform to take off. Now lets talk Windows Phone. Again Windows phone was released in 2010 with very crappy phone choices compared to today. A lot of people liked the Samsung focus but we all know that the first gen offerings were ok at best. The Nokia launched the Luma 900 which I consider a 1.5 gen device along with the 800 and 710 respectively. So yes do we need numbers for a concrete reality of whats going on, of course. However with all the talk from around the world of different outlets selling out of nokia 920's and the other devices selling well its reasonable to believe that sales have jumped a considerable amount. Remember also this is a global market and not just a domestic market. So I hope this makes sense for those who blatantly make comments before thinking. Ummm. WP is an evolution of WinMobile (or whatever it was called back in the day). MS has had a quite a while to get things right. Doing an Apples-to-Apples (or Android-to-Android) comparison, WP8 would be roughly analogous to iOS v. 4 or 5, depending on how you count releases. Net-net, MS has some catching up to do. Ballmer isn't helping matters by his antics. you're wrong. very wrong. or you've never had a winmo phone. Windows Mobile was a great platform of course if you knew how to use it. I always had a custom rom. But winmo was based on windows CE. 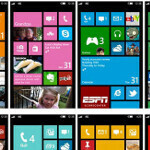 WIndows phone and Windows mobile are two different platforms. MS did have alot more time considering the platform ce launched on PDA's in the year 2000. MS knew its platform was no longer feasable and thus developed a new one. So thats why you can't even compare WP to winmo. and WP actually was re-engineered for the launch of WP8. I Never denied MS has some catching up to do, I just want to know why when some good news comes around people like to turn heads and justify it with a ignorant comment. Finally regardless of Mr. Balmer says, he still reports to the board of directors. Anytime one uses custom ROMs, it means that the OS failed to perform to one's satisfaction. One would expect a certain level of performance when one purchases something. To go through the trouble of rooting and using custom ROMs speaks volumes, that product is broken ergo the need for Custom ROMs. As for Ballmer I have no faith in him nor the senior command staff. The board of directors are stupid in keeping him on the helm. I would call for his head. With him there any WP projects or IPs/ecosystem would be damned. No, it isn't. Totally different system, code, and UI. You might as well say that Android is an evolution of MS-DOS. Not in denial, and not at all ignorant. Just not willing to accept self-serving statements of success purely on face value. Reasonable to believe sales have jumped considerably you say? A quadrupling of sales could be a considerable amount, depending on what sales where before. As for outlets selling out of the 920, whether or not that's significant depends on how much stock they had on hand - I seem to remember talk that retailers weren't expecting WP devices to sell by the bucket load). Show me the money (numbers) and show me the trends. Without that, it's all spin and puffery. Same goes for Apple, Samsung, Microsoft, and [insert name]. People on this website don't use logic and reason, they just comment with the intent to get a reaction. This website is very troll heavy. Yes, 4 times a small amount is still not a large amount. But what would it take for some of the posters here to recognize the WP8 platform is growing and has a ton to offer the mobile landscape? It offers a different approach to handsets. It is very unified with Windows 8 and XBOX services. It is going to be well supported and has a HUGE upside. I am a WP supporter, but I also recognize how far it has to go. So what??? Android is firmly established and is under no threat. Apple has a great community and is also under no real pressure. Why would so many of you cheer for competition to fail? It is improving and growing. I am fine with that. If it does flop? Again, no sweat. I will buy an Android. Ballmer can say anything he wants. it's funny but must people I know had or want to have the Note 2 on contract. no mention of Lumia here. but then again maybe it's too early. we can always check on shops and ask them which mobile is selling well.